The 2018 Farm Bill isn’t just for farmers. It’s for urban, suburban and rural America. 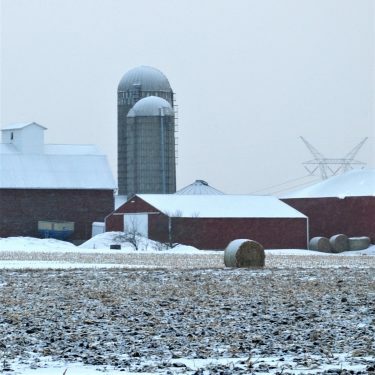 About every four to five years a new Farm Bill is adopted. Most think it’s primarily for farmers but in all actuality it impacts more than just two percent of the farm population. The Farm Bill affects food and nutrition, conservation, trade, jobs and infrastructure, agricultural research, forestry and energy. Since the Farm Bill is such a complex piece of legislation, a recent article written by Tom Vilsack simplifies the new legislation (see excerpts). Vilsack served as U.S. Secretary of Agriculture a decade ago and now is a strategic advisor at Colorado State University. The Farm Bill provides credit for beginning farmers to get started. It protects against farm losses due to natural disasters through disaster assistance and crop insurance. It provides a cushion for the individual farmer if he or she suffers a poor yield or low prices, through a series of farm payment programs tied to specific commodities. Agricultural trade is critically important to the bottom line of U.S. farmers. More than 20 percent of all U.S. agricultural production is exported. Ag exports account for about one-third of farm income. The Farm Bill authorizes market access promotion and export credit guarantee programs that are key for promoting exports and generating farm income from exports. 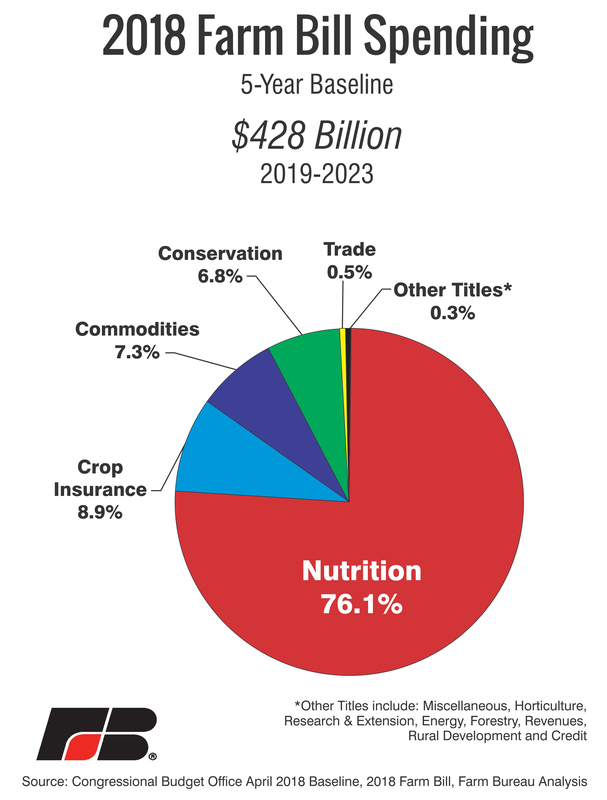 More than 76% of the new Farm Bill spending is projected to go toward nutrition programs. Rural America provides a stable and secure supply of food for our nation. Along with efficient supply chains, we are able to enjoy relatively inexpensive food. On average, Americans spend less than 10 percent of their income on food. The Farm Bill is also a nutrition bill. It funds the Supplemental Nutrition Assistance Program (SNAP), our country’s major program that helps low-income individuals and families afford a healthy diet. In 2016 SNAP served more than 44 million Americans. More than 76% of the new Farm Bill spending is projected to go toward nutrition programs. There are new provisions that impose work requirements for able-bodied adults without dependents or their benefits are limited. Also there are limitations to what people can buy with SNAP benefits, for example, barring their use to purchase soda or other foods considered unhealthy. Other nutrition provisions help senior citizens buy goods at farmers’ markets and make fresh fruits and vegetables more readily available to millions of school children. Only 15 percent of America’s population lives in rural areas. The Farm Bill helps make it possible for people who want to farm to stay on the land by funding supporting jobs that provide a second income. It also provides resources to improve the quality of life in rural places. In the last nine years, programs authorized through the Farm Bill have helped over 1.2 million families obtain home loans, provided six million rural residents with access to improved broadband service, enabled 791,000 workers to find jobs, and improved drinking water systems that serve 19.5 million Americans. Through the Farm Bill, Congress provides grants for research at land grant universities in fields ranging from animal health to biotechnology. Farmers, with the assistance of the Farm Bill, can improve soil quality and preserve habitat for wildlife. The bill funds voluntary conservation programs that currently are helping more than 500,000 farmers conserve soil and improve air and water quality – actions that benefit all Americans. For example, the Conservation Reserve Program pays farmers to take environmentally sensitive land out of agricultural production and conserve it for other purposes, such as wetland habitat for birds. The Environmental Quality Incentive Program and the Conservation Stewardship Program pay farmers to adopt conservation practices, such as conservation tillage and fencing livestock out of streams. Producing renewable energy is an important tool for expanding economic opportunity in rural areas. USDA’s Renewable Energy for America Program authorizes investments in small-and large-scale projects including wind, solar, renewable biomass and anaerobic digesters. Since 2009, this program has helped finance over 12,000 renewable energy projects. Most people are unaware of the Farm Bill’s importance because they think it impacts only farmers. The Farm Bill benefits all Americans. • Net farm income has dropped over 50% from four years ago, the largest four-year percentage decrease since the Great Depression. • Many farmers are relying on capital reserves while many others, including beginning farmers, have already depleted reserves. • Based on averages, one in ten farmers is either highly or extremely highly leveraged. • Export markets have been impacted by U.S. trade policy. There are a variety of risk management tools in the Farm Bill to protect farmers from adverse declines in either crop revenue or prices. These programs include but are not limited to the Marketing Loan Program, Price Loss Coverage (PLC) and Agriculture Risk Coverage (ARC). 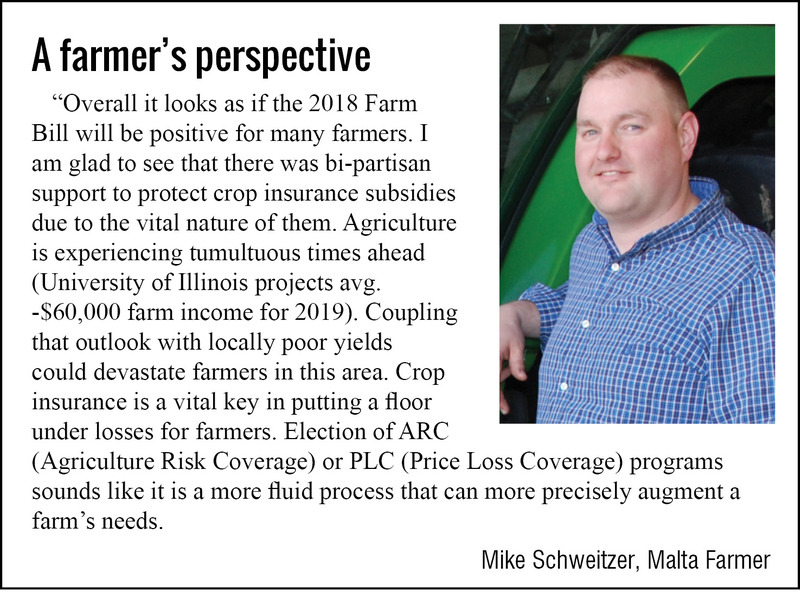 The 2018 Farm Bill made several improvements to both program prices and yields to enhance the effectiveness of these tools in helping farmers manage risk. 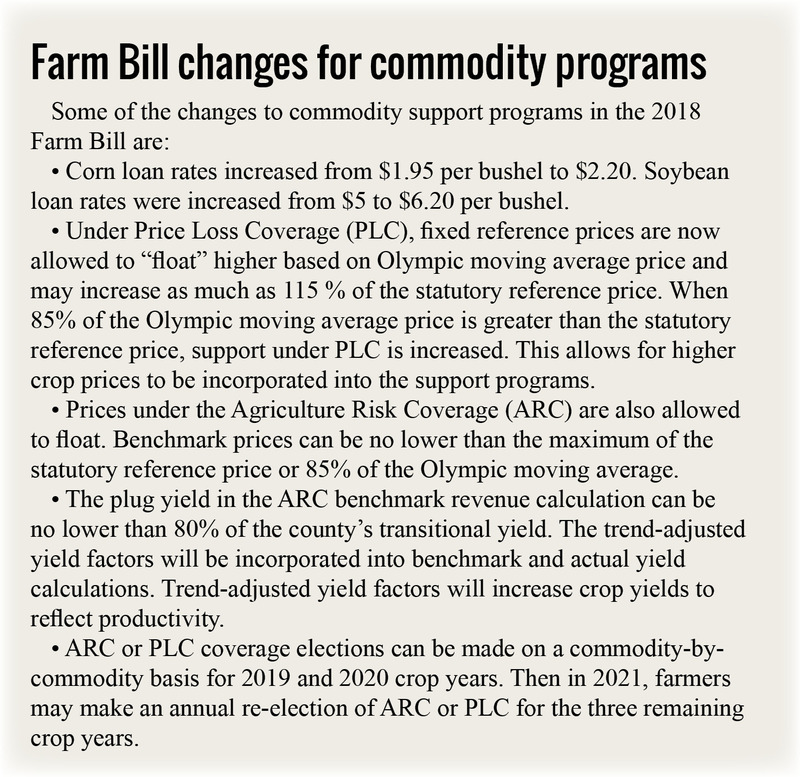 Marketing loan rates are increased, PLC support prices may float higher, PLC program yields are increased, and the prices and yields used in ARC are improved. Farmers are at the mercy of a lot of forces they can’t control – weather, trade or world pricing, diseases. That is why crop insurance, subsidies and other programs included in the Farm Bill ensure farmers can keep farming even in lean years. Also the farm program ensures an adequate food supply.